Busy stations will continue to operate as usual, though many will have opening hours reduced to just two-and-a-half hours per day, City Hall said. Although the Unions objected to the Mayor’s original plans and this has probably prompted the Mayor’s U-turn, I think that staff in ticket offices will disappear within perhaps five years. 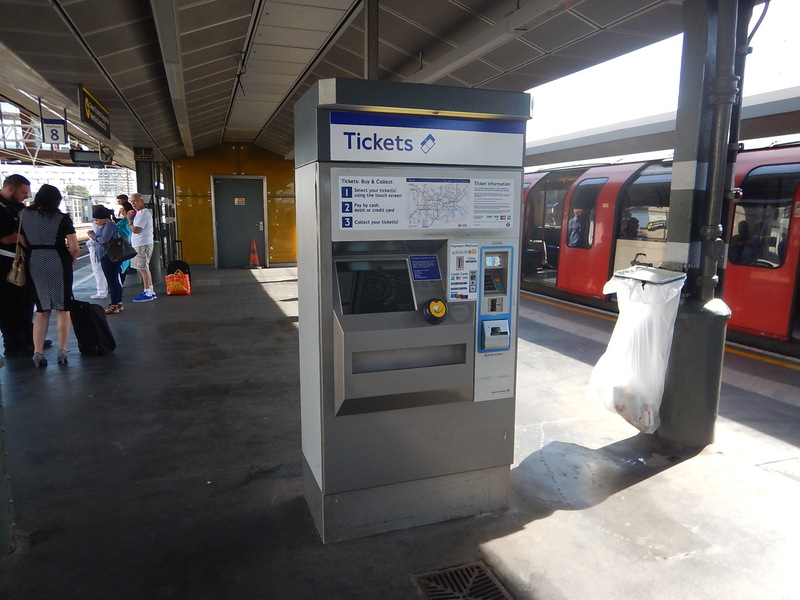 The only time, I see anyone use the Ticket Office at Dalston Junction station, is probably to sort out a ticketing issue with the machines, which are becoming increasingly rare, as Transport for London are increasing their numbers and replacing older machines with better designs. Also as Dalston Junction is a busy station, there is usually someone manning the gate-line, who can help. But over the next few years, the following will happen. More and more passengers will use contactless ticketing with bank cards. Contactless ticketing will expand widely, so that for most journeys in the UK, you would just touch-in and touch-out. Oyster will cease to be used and be withdrawn. Gateline technology will get better. Staff working on the gateline and platforms, will be better equipped with mobile technology to sort out problems. Ticket machines will develop into sophisticated multi-language help points. Cash will disappear from daily life and stations. Train companies will continue to be short of drivers and will look for other staff that can be retrained. On a related note, increasingly, London Underground and Overground are being targeted by organised gangs of beggars. This means they need more staff on the gateline to control the problem. I can see a time, when working in a ticket office will be a very lonely and boring job, that no-one will want to do. So like the dinosaurs, they will just die out! Would Third-Party Rail Ticket Machines Be A Good Idea? I travel extensively on the UK rail network and my journeys are generally of three types. Local journeys within the London Zone 1-6 Travelcard area, for which I use my Freedom Pass. Journeys to places like Brighton, Hastings, Ipswich and Rochester, where I generally buy a ticket from a machine. 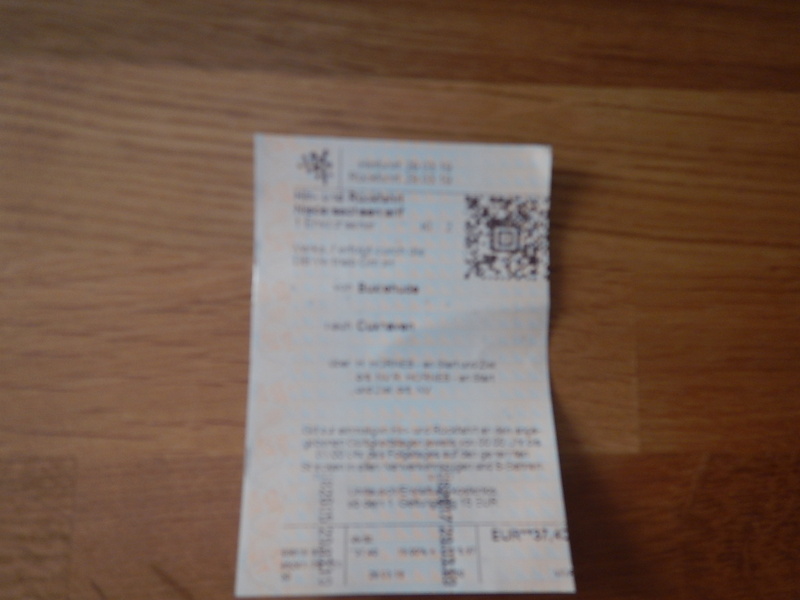 Long distance journeys, where I use the Internet and pick up the ticket at a machine. I suspect that many travellers across the UK, have a similar pattern of use. Forty years ago, there were an adequate number of cash machines, but they were generally associated with bank premises. I can remember my delight, when I first found a machine in a motorway service area. Now, cash machines are everywhere and all are free. Although, there are mutterings, that charges might be made and the number of machines will drop, due to contactless cards. At present, the nearest to this are the ticket machines on the London Overground. The latest ones allow you to do all the normal ticketing functions, with these valuable additions. Buying a ticket between any two stations in the UK. Buying an extension ticket from the London Zone 6 boundary. Prices are generally the lowest you can purchase, on the Internet without using Advance Tickets for specific trains. These feature means, that if say I’m going to a football match outside London in a few days, I’ll buy my ticket from the Overground. Ticket machines will add more and more features. Buying Advance tickets for a specific train. Special tickets like Plus Bus, Plus Tram and Rover and Ranger tickets. Imagine turning up in a city and being presented with a screen on the same machine, which allows you to buy Travelcards and tickets for local attractions. As the machines get more sophisticated, I believe there will be less need for ticket machines to be at train stations. So could we see companies like The Trainline putting ticket machines in places like shopping centres, superstores and the smaller shops that service Oyster in London? If the financial model stacks up, I’m sure we will see ticket machines everywhere! Would a third-party company be more likely to provide them? Especially, as they’d quickly identify the most profitable places, where there were large numbers of interchange or waiting passengers. Making rail tickets more available will surely increase sales. Suppose you live in Nottingham and your mother lives in Peterborough. You’ve just had a bad drive across the Midlands to see her for her birthday. Will a ticket machine in your local superstore, lead youto investigate the trains as an alternative? If it does, it must surely lead to more passengers on the trains. Train companies are notoriously bad, at making sure that a weekend service has enough carriages. Making it easier to buy tickets would surely give them a better estimate of passenger numbers. But would the train companies make use of the information? We’ll see a lot more ticket machines. Some will be from third-party operators. Just like cash machines! This article in the Guardian is entitled Virgin Trains and six other companies agree to sell advance tickets on the day. The Rail Delivery Group (RDG), which represents the train operators and Network Rail, said customers of Grand Central, Greater Anglia, Northern, TransPennine Express, Virgin Trains East Coast, Virgin Trains West Coast and those using the Caledonian Sleeper from London to Scotland can now also buy Advance tickets for many trains on the day of travel. The price of football has just dropped, as I can buy my ticket to Ipswich on Saturday morning and might make a saving. Do You Have A Child Approaching Twenty-Four Who Uses Trains? Martin Lewis came up with this tip on BBC Radio 5. If a Young Person’s Railcard is bough on a three-year basis, it stretches a few months past, their twenty-seventh birthday. He did say you had to get your dates right! Exeter St. Davids and Exeter Central are important stations in Exeter. Many services call at both stations. The two stations are about five minutes apart by train. It takes fifteen to twenty minutes to walk between the two stations. Exeter Central station is in the centre of the city and an easy walk to stops and restaurants. Exeter St. Davis station is the junction station, where lines to and from the city meet. The problem is that it is a very stiff walk up the hill from Exeter St. Davids station to Exeter Central station. What eases matters, is that every few minutes, a train connects the lower St. Davids to the higher Central. These pictures document a trip between the two stations. Note the quality of the trains. When staying in Exeter, if you come by train, make sure you pick a hotel at the best station for your visit. I stayed in the Premier Inn by the station and met a couple, who were using the Mercure, which they didn’t fault. 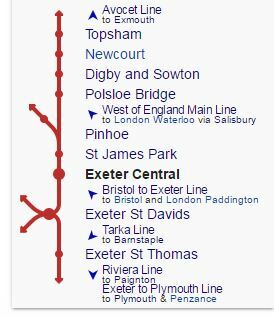 This map clipped from Wikipedia, shows the stations in Exeter. 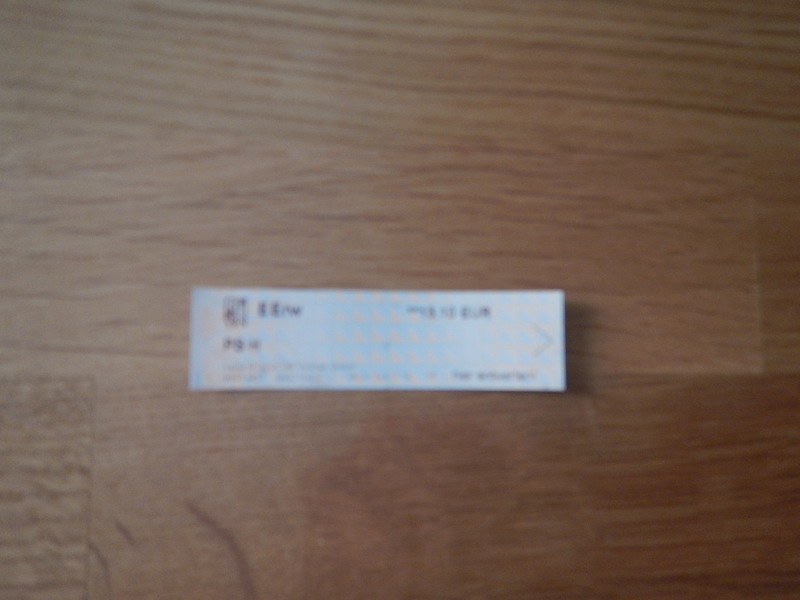 My ticket between the two main Exeter stations, cost £1.50 for an Anytime Day Return, but you can’t help thinking that the various train companies working in the area are looking at ways of improving the ticketing. The fact that First Group is now involved in the two main franchises must help. But as a visitor, who understands ticketing, I found my £6.60 Devon Day Rangers more than adequate. After a good night’s sleep, it is perhaps worth taking a look at my experience yesterday in getting through and home from Gatwick Airport. The train problems were hopefully exceptional, but having seen the new plans for Thameslink’s services, which make it difficult for anybody in East London to go South, I suspect that these problems will go on for some time. The trouble with the new Thameslink is that it has no step-free interchange with any of the main North South routes through East London. Currently, you can change at New Cross Gate for Gatwick services, but after Thameslink fully opens, this connectivity will be lost under current plans. It looks like the best route will be to go to West Croydon station and take the tram to East Croydon. Currently, the interchange at London Bridge between Northern Line and National Rail is not good, although it is step-free. Hopefully, it will get better. But the problem with the Northern Line is that many of the stations need reconstruction for full step-free access. If the London Bridge interchange is improved and the excessive walking is cut, I could use this route a lot to get to Thameslink from Angel station. But Angel is not a station for a large case, a wheelchair or a baby in a buggy. Many on the Victoria Line go direct to Victoria and get a direct train. Victroria Line access to Thameslink is currently terrible with the only interchange at Kings Cross being step-free and a very tortuous and long walk. After Thameslink is fully open, there will be a much easier change at Finsbury Park station. I’m still not sure that the new fully-open Thameslink will not be without controversy. There is also a need for a solution to the Freedom Pass problem. I suspect that savvy passengers will just buy an extension ticket between East bCroydon and Gatwick Airport. On the other hand, I wouldn’t put it past Gatwick Airport to fund the moving of Gatwick Airport into Travel Zone 6, if Heathrow does something unfriendly with Crossrail ticketing. After all, each return ticket costs just £6.